Poole is a pleasant south coast town located west of the city of Bournemouth, with a population of just under 150,000 people at the last census. The town has numerous places of Christian worship serving the needs of local people. Amongst these are Church of England, Roman Catholic and United Reformed churches. There are ten funeral directors in Poole, meeting the needs of a diverse range of customers, regardless of their background or religious beliefs. There is a choice of independent family-run businesses as well as branches of well-known national chains of funeral directors. Local cemeteries are managed by the town council in various locations close to Poole, including Parkstone, Broadstone and Branksome, as well as natural burial grounds. One alternative option is Harbour View Burial Ground, located just off the A350. The burial ground offers environmentally friendly options with tranquil views over Poole Harbour. 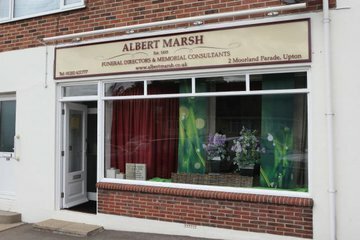 Search for local Poole funeral directors now to see funeral homes near you. You can filter search results by best rated, most reviewed or nearest to you. Click on a funeral director’s listing to see their profile page, where you can read independent customer reviews, search for recent obituaries, and learn more about the funeral services they can offer to you.